Q: Why is Agent Charlie Francis alive in the episode Unearthed (season 2, episode 11) when he was killed off earlier? 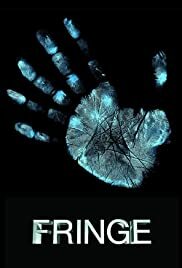 Q: What web resources are related to Fringe? OK first things first...... you people can't just watch the first two episodes and say that this show isn't good. the first few episodes of any show are bound to be a little slower than the latter. And how can you not dig the strange things that take place in this show. I think it is an excillent, fresh, new idea and has a lot of potential. It's kind of like CSI meets the x-files with some weird science in the mix. Overall i think this series has great potential if you saw the first two episodes and gave up on the show your an idiot. Myself being a huge fan of Lost was a little skeptical about Fringe and was even a little bit disappointed with the first few episodes. Keep watching and like me you will be pleasantly surprised! 152 of 226 people found this review helpful. Was this review helpful to you?